The new year brought new opportunities for hackers and website outages. Bitter temperatures across the midwestern US made conditions ripe for equipment failure. Major outages occurred throughout government, social media, and even Broadway this past month. But what stole the show were DDoS attacks that affected developer tools, healthcare systems, and news outlets. Here are the major website outages for January 2019. On January 2, as developers prepared to write their first line of code for the year, many were frustrated to discover GitHub was down. The outage only lasted for about an hour, and the hacker HaxStroke of the group Ghost Squad Hackers claimed responsibility for the attack. Hello @github a little hug from HaxStroke at your website, ^^. On a brighter note, security firm Imperva prevented a massive DDoS attack from affecting systems of an unnamed client on January 10. The record-breaking attack used a DDoS technique called SYN Flood, where fake TCP requests flood the server to prevent it from processing legitimate requests. Regular visitors see longer load times or complete outages. At its peak, the attack sent 500 million packets per second. The Shift News, a Malta-based media outlet, experienced two separate DDoS attacks in one week. The attacks occurred on January 14 and 19. The site believes the attacks were an attempt to prevent the public from reading news related to government corruption involving three public Malta hospitals. On January 17, a virus caused Ontario-based Health Sciences North to temporarily shut down parts of their network in order to remove the bug. Each of the 24 hospitals in the network shut down certain systems to prevent further damage. The inability to access information electronically created slower service and Health Sciences North recommended some patients to reschedule or use another provider until functionality was restored. Education information system Magister went down the evening of Jan 31 because of a DDoS attack. Hundreds of Dutch students complained about not being able to access study materials. Over 500 schools in the Netherlands use the system to provide rosters, homework assignments, practice tests, and grades. Alexa, Why Are You Ignoring Me? On January 16, Alexa users reported the AI ignored requests and wouldn’t turn off. The hour-long outage mostly affected the UK and some parts of the US, but was enough to frustrate people who depend on Alexa. Anybody else’s #alexa ignoring them this morning? It played my local radio station after a while, but won’t do anything else. Just ignoring me. Won’t even turn off. Live TV streaming service Sling was down on January 18. Users in the US reported they couldn’t access the service on Roku, Apple TV, mobile apps and the website. Website users also complained the site stated their subscriptions weren’t valid, even though there was no real problem. The company announced good news later in the day with a cute cat GIF. Even Broadway experienced issues due to website downtime in January. On Jan 30, Equity Principal Auditions were pushed back a day due to equipment failure that caused website downtime. The 51,000 actor association has servers in Chicago, where a deep freeze caused the servers that power the registration site to fail. Azure and Office365 appear to be experiencing outages quite frequently lately. On Jan 10, Azure users in the South UK region experienced a massive outage. The outage affected a wide variety of services including API Apps, Data Factory v2, Virtual Machines, storage and more. Two outages affected Office365 users on Jan 24 and 29. The first outage persisted for two days globally, and enterprise users from the UK to Africa and Sweden couldn’t access email. What frustrated users the most was the lack of status updates. Computer Business Review reported initial outage confirmation wasn’t immediately available on its public-facing status pages, though administrator status pages confirmed problems. At one point, Microsoft didn’t provide status updates for 20 hours. The second outage affected users in the UK, Australia and the US. Microsoft restarted a portion of infrastructure to alleviate the login issue for thousands of users. January ended on a low note for Microsoft when a January 29 Azure outage resulted in database deletion for some customers. Though Microsoft restored databases, the data excludes a five-minute transaction window. Microsoft requested companies identify those lost transactions, without technical data, and raise a support ticket if any “could impact business processes or applications outside the database.” Users affected are getting a their usage fees waived for 2 months on all restored databases, and 3 months for all original ones. Tinder users got a break from swiping left or right on January 8. The popular dating app experienced 500 errors when trying to login or access information from the server. On January 9, Flickr users were surprised by an outage on the day their unlimited free storage ended. Experts speculate Flickr users scrambling to save their photos before the deadline caused the availability issues. The popular messaging service WhatsApp went down on January 22. The problems seemed to be concentrated in Europe and South America, though some customers in the US and India were also affected. A couple of days later, users were shocked to hear of plans to integrate messaging from WhatsApp, Instagram and Messenger into one platform. On the heels of the WhatsApp outage, Instagram users found the service down on January 29. Users experienced a 500 outage at the end of the workday, sending them to Twitter to vent. The outage lasted for about 45 minutes, and it’s unclear what caused it. The month ended with another Reddit outage on Jan 31. Users received error messages that the popular forum couldn’t connect with its CDN. Was it the federal government shutdown or some other problem that caused Regulations.gov to go dark on January 17? The site allows US citizens to comment on proposed federal regulations. Originally, an error message stated the US government shutdown was responsible and the site would remain down until the government was open for business. Now the site states a technical error is to blame. Regardless of the reason, the site is still unavailable. On January 22, the city of Akron, OH discovered a DDoS attack. Officials believe the attack was an effort to access city funds. Several state and federal organizations are investigating, but assured citizens no sensitive personal data was compromised. A data center outage is fingered as the reason for a major UK Ministry of Justice outage that began January 25. The problems affected multiple systems utilized by the government’s criminal justice system, including The Crown Prosecution Service, secure email systems, and court hearing information systems. The UK government is meeting with the head of Atos, who runs the data center in question along with Microsoft. On January 29, Gmail users were baffled by a 404 error when trying to access their accounts. These error messages are common when trying to access broken links or typing in an incorrect URL, but for a major service like Gmail to suddenly disappear is suspicious. Websites using Google Charts or other older Google API libraries experienced a 502 error on January 31. The good news is that Google implemented a newer library, so many website owners could switch to the new one to get their Google-powered website elements working again. Gmail wasn’t the only email provider experiencing problems this month. On January 31, UK-based ISP TalkTalk users experienced problems logging into email via the web and multiple devices. A variety of error messages greeted users trying to access email. The outage only lasted a couple of hours. On January 24, Bing users in China couldn’t access the site. Though a source told Reuters it appeared to be a block by government censors, other sources stated it was due to technical problems. However, both Microsoft and the Chinese Government didn’t respond to requests for a comment on the situation. Bing is the only major search engine allowed to operate in China. Vodafone UK broadband internet users were frustrated by an internet outage on Jan 26. However, some crafty users were able to come up with a workaround that seemed to correct the problem. San Francisco FasTrak users were unable to pay toll violations on invoices when their customer service website experienced an outage from January 26-28. The website is maintained by Conduent, Inc. and it appears several other websites hosted by the company also experienced outages. Customers unable to use the site will get a grace period to make payments without penalties. January outages provided strong evidence why monitoring HTTP/S isn’t enough. 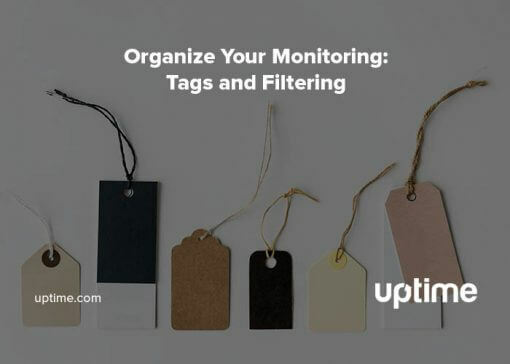 From DDoS attacks using TCP ports to DNS-based outages, organizations need a web monitoring solution that does more than the basics. 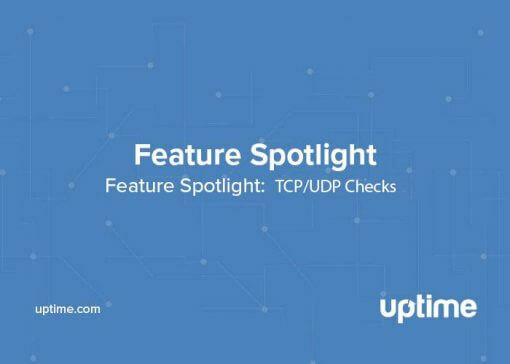 By creating multiple checks to monitor DNS records, TCP/UDP ports and viruses or malware, these tools work together to provide the most complete coverage for your website available. Downtime hurts. But it doesn’t have to continue unchecked. 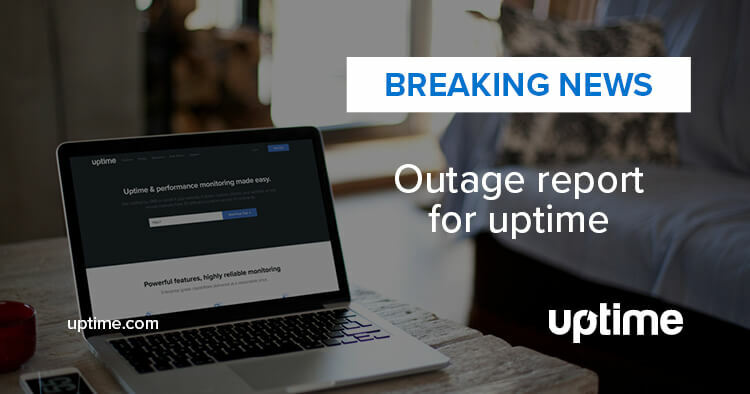 Start your 21-day free trial with no credit card required at Uptime.com. 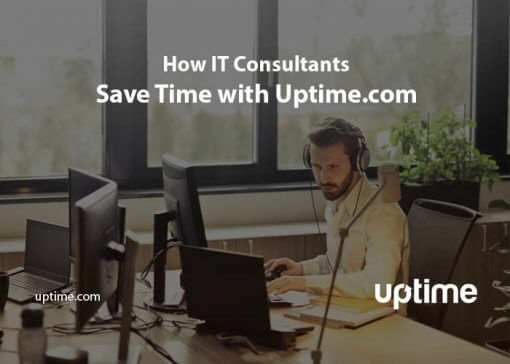 Sharon McElwee is Uptime.com's content manager. Her focus is helping the team create great content for Uptime.com users. Sharon lives in Central Virginia, USA and enjoys scrapbooking, building websites and hiking.